The entire time I’ve been working on this President’s Day cookie project, that’s the song snippet that has been rolling through my brain. Remember the movie My Fellow Americans? It’s John Adams! The first #2 of the United States! I guess I should take some solace in the fact that a lot of the Presidents, especially the first ones, look sort of the same – like REALLY OLD DUDES. At least, that’s what I’m telling myself while I drown my sorrows in hot chocolate. About that #2 business… (ha, I just cracked myself up!) … He really was second in a few different ways! You see, he was the first Vice-President, under dear ol’ George, of course. And then four years later, he was the second President, too. He was also the second President to die on July 4, 1826, as his successor, Thomas Jefferson, died just a few hours before him that morning. He was first in a few things, though. For example, he was the first President to live in the White House. He moved in very near to the end of his term, once it was finally ready. It wasn’t nearly as big back then, but it was still something to shout about, I bet. He was the first President to receive the oath of office from from a Chief Justice of the US Supreme Court. 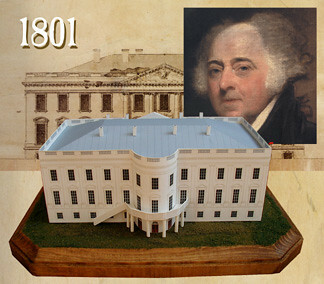 His inauguration took place in March 1797 (as opposed to the January ceremonies we have today), and he was sworn in while the office of the Presidency was still in Philadelphia, Pennsylvania. During his ceremony, it was the first time that the Big Three (George Washington, himself, and Thomas Jefferson) were all on a stage together. 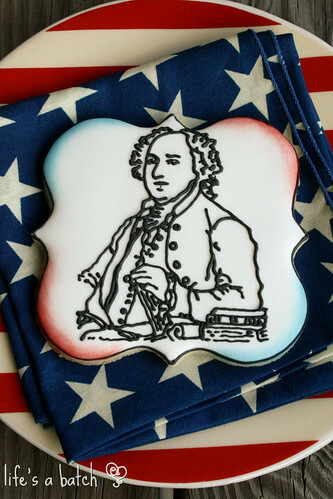 As for more cookies, well… I baked up a bunch more and had intended to create a nice set for John Adams. However, the business of running as Vice-President of my own household took over, and those poor cookies still remain undecorated. Not to worry, though. I know a cool place where you can see LOTS more! 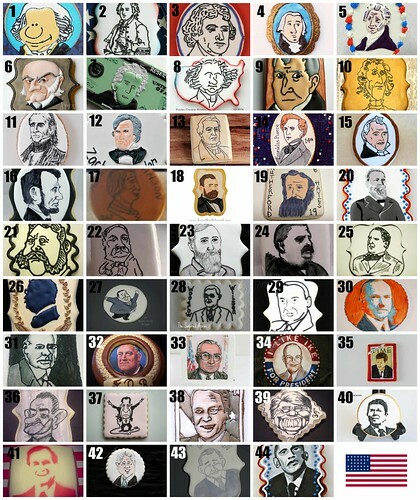 You see, my friend Anne, of Flour Box Bakery, conceived this entire President’s Day in Cookies project, and she enlisted the help of 40 different decorators to get the job done. 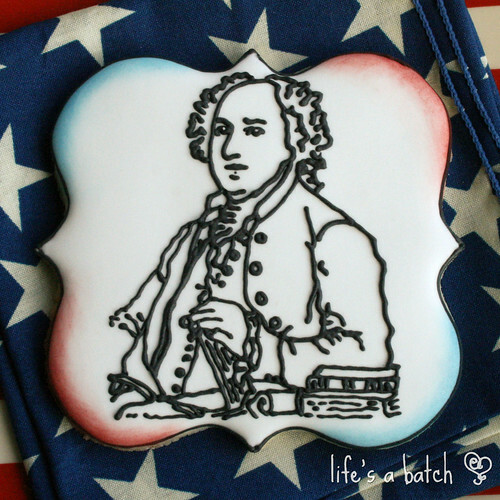 My little John Adams cookie is just one of 44! Check out this collage – WOW! 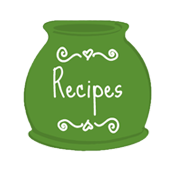 Anne has a detailed “Fun Facts” blog about the Presidents over on her site, and I urge you to check it out. Lastly, be sure to go visit each one of the decorators to see up-close pictures of each cookie. 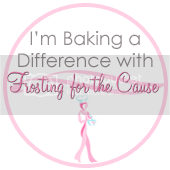 Some decorators have extra “accessory” cookies, too – ones that are actually iced! And in case you want to see James Garner & sing their “Hail to the Chief” versions, here’s some quick videos for you. Don’t blame me when they get stuck in your head! I always think of that movie when I hear that song! That’s interesting I always find myself singing while making cookies but this song didn’t make it into my head! But it’s in my head now! I love your stellar John Adams! 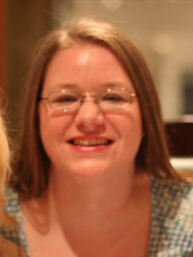 Sorry, Melissa – it’s quite the earworm that you can’t shake! And thanks!